Take advantage of this unique opportunity to own this lovely estate home tucked away within a treed canopy on 6. 5-acres offering the utmost privacy, while still being part of a neighborhood. Located in the award-winning council rock north school district, wrightstown township. This home is perfect for the car enthusiast who enjoys working on or storing in a double depth separate garage entrance. The nature lover will be instantly at home. This is not a production home, it was custom designed and built by rkd builders. As you enter the home you immediately sense the openness and warmth of the features. You are quickly impressed with the extra tall ceilings, elegant staircase, and the ability to see all the way to the back of the home stopping at the floor to ceiling stone fireplace. The dining and living rooms are in the front of the home while the kitchen and family rooms are in the back. Every room is filled with an abundance of tall casement windows offering ample natural sunlight and magnificent views of grounds. A sun-room surrounded in windows can be found on the side with a very serene view. The kitchen and family room have direct access to the deck, heated pool built with a waterfall and hot tub. The finished basement adds additional space for play. The second floor can be accessed from the grand stair or more informally from the back stair. The master suite retreat is a soothing place to end your day. The sitting room features an extra tall barreled ceiling with custom built-ins, a refrigerator and a gas fireplace. The stunning master bathroom has a whirlpool tub, a separate toilet room, an over-sized walk-in shower, double vanities, and access to a balcony. There are two generously sized walk-in closets to finish the master suite. The rest of the upstairs features 3 additional generously sized bedrooms, one includes a cozy bay window with a seat, and the others offer access to a private balcony. This location is convenient to shopping, washington crossing state park, new hope, and recreational facilities. There is easy access to major roads and trains for commuting to philadelphia, princeton or nyc. 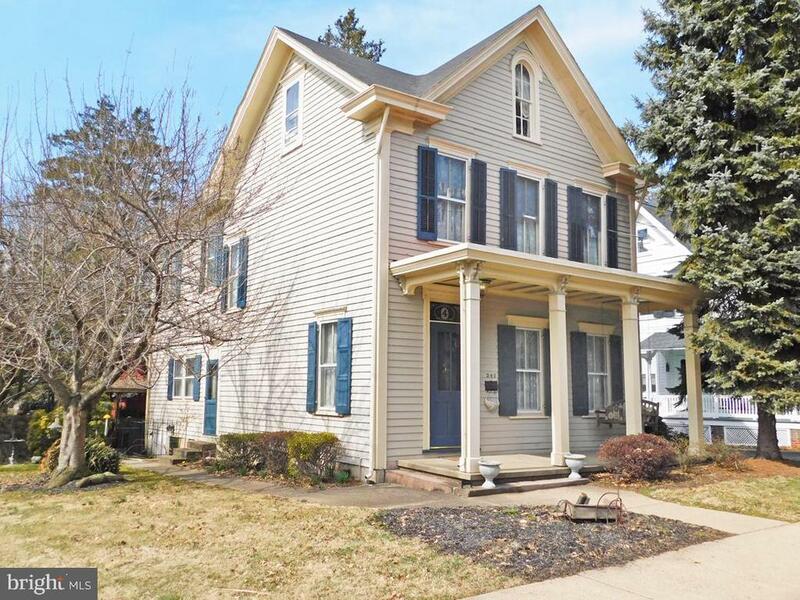 Welcome home to this c1879 victorian in the heart of newtown borough! Steps from the state street shopping district and all it has to offer. Step onto the wide, covered front porch before entering this fantastic home. Hang your coat in the large entrance foyer before stepping into the main parlor with its high ceiling, intricate woodwork and large gas fireplace. Move to the dining room with space to host any holiday dinner. The kitchen features plenty of counter space and storage, plus the eat-in breakfast nook and powder room, with an exit to the rear patio. The basement has a finished area with a full bar and large living room. Much of the original foundation is accented in the decor. There are several smaller rooms for storage as well as the laundry and a half bath. The second story has a large master bedroom, plus 3 other bedrooms and a fifth bonus room that has access to the very big attic. This space could be easily finished as a master suite, playroom or recreation area, or left as-is for storage. The back patio is flagstone with plenty of space to sit and relax with your favorite cocktail as the sun sets behind the 3-story barn. The c1910 barn has electricity, heat and window air conditioners. Zoning is village gateway which allows for a number of commercial uses as well. All of this is in council rock schools and close/easy access to all major roadways and public transportation. Make your appointment to see this home today! Luxurious living awaits! Located on a quiet, cul-de-sac street just minutes from downtown newtown borough, this meticulously landscaped 0. 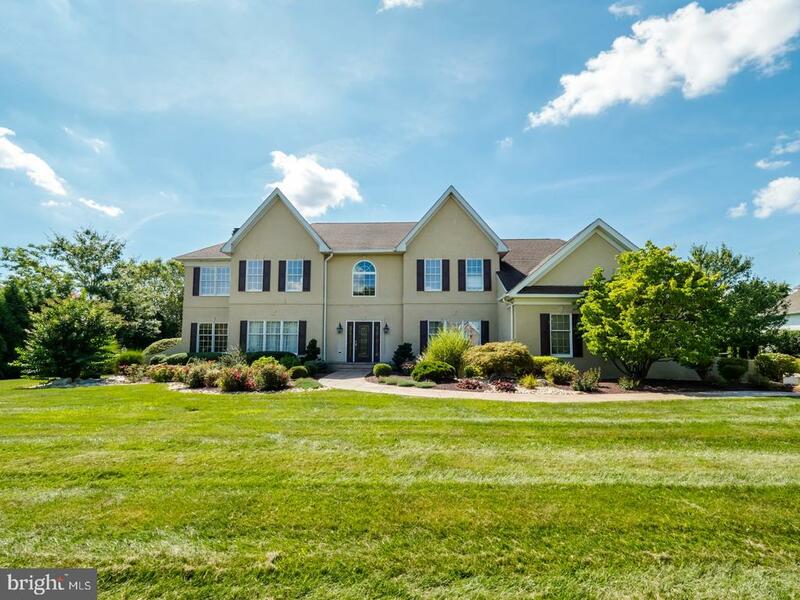 46 acre lot is home to a stunning 4 bedroom, 4 full and 1 half bathroom colonial that is beautifully appointed with gleaming hardwood floors, distinguished decorative accents and a host of upgrades today's buyers crave. You are greeted by a paver walkway that meanders its way to a covered paver porch accented by stately doric columns that is sure to impress. Then, upon entering, you are welcomed by a foyer accented by shadow box, chair rail and a dramatic staircase. Immediately to the left, a formal living room complete with crown molding stands ready to receive your guests and to the right, is a bright, airy formal dining room highlighted with crown molding, shadow box and chair rail large enough to accommodate even the largest dinner party. The dining room also features a second entry that leads first into a butler's pantry and then flows into an spacious gourmet eat-in kitchen that boasts gorgeous 42 inch cherry cabinetry, tile backsplash, center island, high end stainless steel appliances, gas cook top and breakfast area with sliding door leading to an expansive deck ideal for outdoor entertaining. Adjoining the kitchen is a striking 2 story family room with vaulted ceiling and gas fireplace that will make an ideal space to relax after dinner. The first floor is also home to a bonus room that is set aside by a set of double doors making it an ideal location for a professional office, informal den or a private library. The second floor of the home features 4 spacious bedrooms including a extensive owner's retreat complete with tray ceiling, large sleeping area, separate sitting room, his and hers walk-in closets and a luxurious private bath with immaculate tile work, soaking tub, glass enclosed shower and a double vanity, a princess suite with large walk in closet and private bath and two other nicely sized bedrooms. As if that were not enough, the home also features an enormous finished basement with tile floors, a 2nd full kitchen with granite countertops and large entertaining space as well as a bonus room and a full bath that could easily become an in-law suite. In the unlikely event there still is not enough space, there is an unfinished space over the garage that could become a 5th bedroom. Welcome home to this bright, open and spacious beauty in the quiet enclave of only 18 homes in foxhall estates. 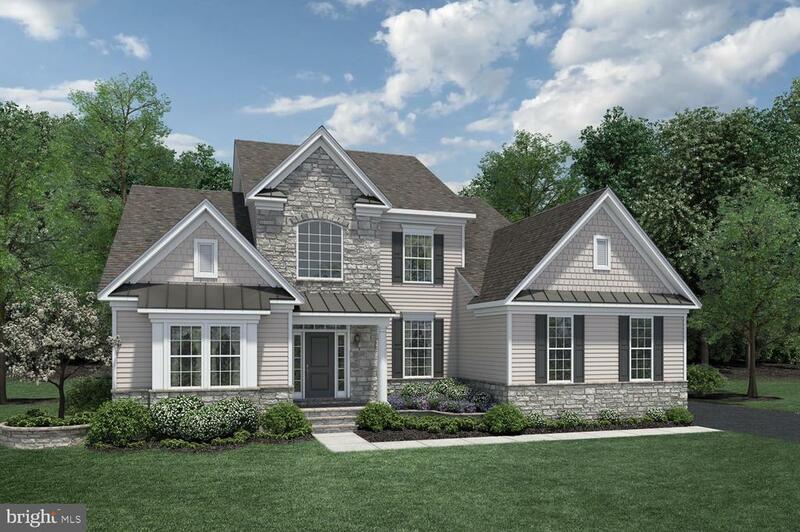 This canterbury grand provincial home invites you to view the custom wainscoting and crown molding, 10 foot ceilings, gleaming hardwood flooring and private tree-lined back yard. As you enter the grand 2-story foyer with raised tray ceiling and set back landing and staircase, you will notice all the architectural details that will immediately impress you. The sun-drenched living room with hardwood flooring will entertain formally and intimately. The dining room, surrounded by raised panel moldings and crown molding will be the setting for many holiday meals and memories. The heart of the home, the kitchen, features an expanded center island ready to host family activities and casual entertaining. Pendant lighting, stainless steel appliances, cherry cabinets, detailed lighting, granite countertops and numerous cooking stations will please even the most discerning chef. The adjacent morning room, with a large sun-filled atrium window, is just the setting for a lazy weekend breakfast or a cozy dinner. The two-story family room boasts a gas fireplace and floor-to-ceiling windows overlooking a private backyard and informal back staircase for easy access to the second floor living space. Laundry room with separate outside egress and powder room complete the first floor. As you ascend the front formal staircase, retreat into the master's quarters complete with a gracious detailed tray ceiling, master's sleeping area, separate sitting area, his and hers walk-in closets and spa bath with jacuzzi tub, double vanity and walk-in shower. Secondary bedrooms are generously sized with one en-suite bedroom and hall bath for the additional two bedrooms, plus loft. This loft/bonus room overlooking the two-story family room could easily be used as a second floor play room, a tv lounge or a fifth bedroom. The daylight basement is ready for your finishing touches. This well maintained home is in a highly desirable location with accessibility to major commuter arteries and in the highly acclaimed council rock north school district. Build to suite - new construction by toner homes. Custom mercer craftsman model in award winning council rock school district. Classic design with covered front porch with beautiful views. Distinguished features included are a wonderful open floor plan, 4 bedrooms, 2. 5 bathrooms, full poured concrete basement, two story family room with gas fireplace, 2' x 6' exterior wall framing, furniture quality cabinetry by century kitchens in various choices of door styles and colors, 3/4" hardwood floors in foyer, kitchen, breakfast room and powder room. Gourmet kitchen with upgraded stainless steel appliance package, over sized center island and granite counter tops. Extensive molding and trim package and much more. This home is not built yet. Photos are of a similar home. Call listing agent, john menno with any questions. This is a rare opportunity to own this 3-story stone home built in 1800 and located in the historic newtown borough. 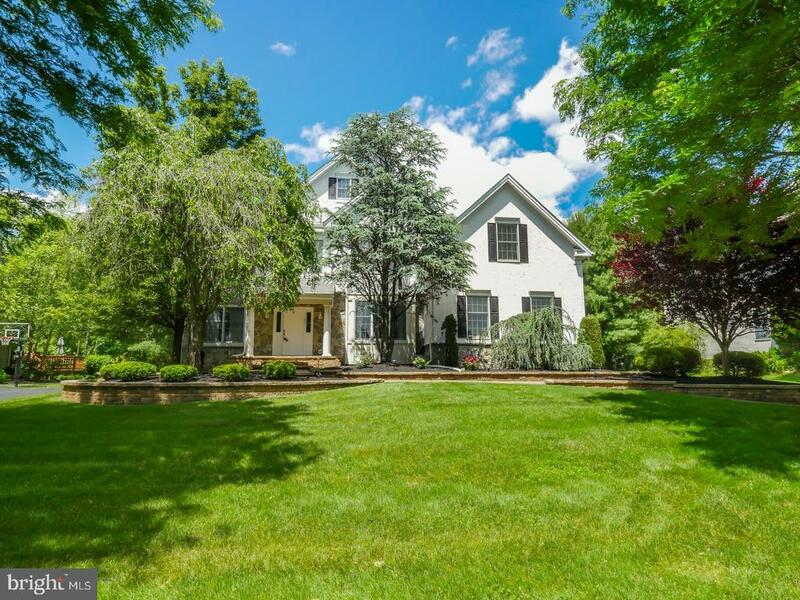 The home is nestled on a63 acre lot featuring beautiful, well manicured grounds and gardens. This spacious lovingly maintained home offers hardwood floors throughout most of the home. The first floor features a formal living room with wood burning fireplace flanked by a built-in bookcase, and the formal dining room features a built-in cabinet. Your inner chef will love the mix of a historic home with modern conveniences in the kitchen featuring granite countertops, with an original walk-in fireplace. Just off the kitchen is the heated sunroom with beautiful views of a secluded private backyard. Finishing up the main level is a half bathroom, and laundry room. On the second level, the bright and sunny master bedroom offers a private bath and walk-in shower with a separate dressing area. There are two additional bedrooms that share a bath with step-in tiled shower and floor. The third level has two additional bedrooms and another full bathroom. There is a large 2 car garage with a finished 2nd floor for storage that offers the potential for a future conversion to an in-law suite. Only a few steps from your front door are charming shops and restaurants of newtown borough. Come and see this lovely home, a charming marriage of historic charm and modern conveniences. 4 bedrooms, 3. 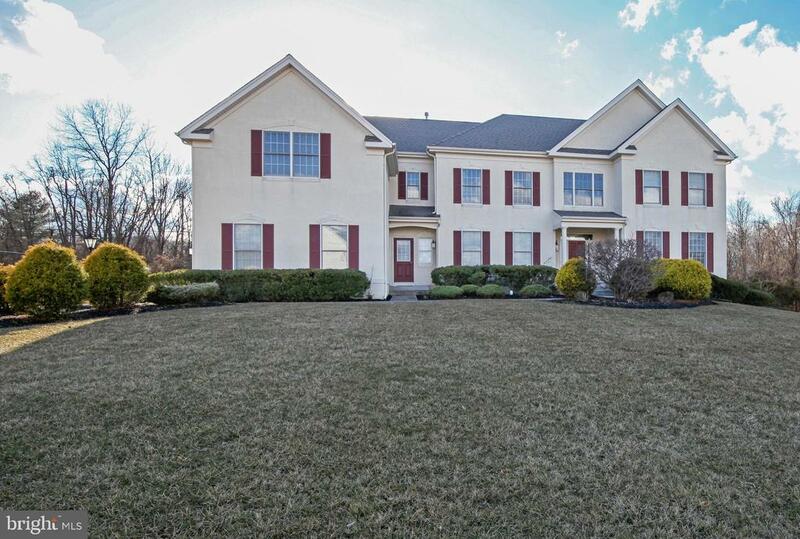 5 bath dolington estates colonial with open layout, 1+acre level fenced yard, magnificent owner's suite, beautiful finished lower level and upgrades throughout. Meticulous landscaping on the wide paver walkway. 2-story foyer with gorgeous hardwood floors that continue t/out the formal entertaining areas. Living room and dining rooms w/ custom lighting packages and embellished wood trim. An oversized family room offers a relaxed grandeur as the stone fireplace with incredible handcrafted mantle. The first floor office is adorned with glass french doors, wide crown molding and plush carpeting. With a dramatic two-story ceiling the casual dining area w/ hardwood floors lead to a rear staircase and the gourmet kitchen. Well-appointed workspace featuring top of the line appliances, 6 burner gas stove, double oven, a huge center island with breakfast bar, tiled backsplashes, double oven and large custom pantry. The extra-large mudroom w/custom storage hosts the garage entry and the laundry. Entire house has been recarpeted in the past 2 years. Upstairs double doors reveal an amazing owner~s suite with a vast bedroom with massive his-and-her walk-in closets and a relaxed sitting room. The luxurious master bath offers a soaking tub w/ tile surround. Also, a step-in shower enclosure with bench seat and a separate water closet. Bedroom two is a princess suite with oversized custom double closet and a private bath. The third bedroom with elegant chandelier includes a walk-in closet and shares a jack-n-jill style bath connecting to the fourth bedroom, which is currently used as an office. Encompassing over fifteen hundred square feet, the finished lower level has 3 finished rooms and has a full wet bar and handcrafted-cabinetry, beautiful stone fireplace in the lounge area, divided glass doors that open to a bedroom/fitness space, plus lots of extra closet storage too. The sunroom with raised ceiling and striking tile work is ideal for summer dining or just relaxing while you enjoy the views. An expansive patterned, concrete patio framed with a ep henry stone wall allows you to have numerous seating arrangements and overlooks the deep, fenced yard with open views beyond. This immaculate home with prime location, nearby commuter routes offering quick access to philly and princeton and just minutes from the historic towns of yardley, washington crossing and of course newtown. Call today, this opportunity will not last long. Note: seller is a licensed pa/nj realtor. Exquisite brick front, arlington federal colonial with a majestic feel from the moment you drive up. The long driveway is accented by a brick pillared entry. This home is situated on 1. 2 lush acres affording it a sense of privacy, yet it is located in a sought after, neighborhood. The 2-story grand foyer opens to a turned stairway that is flanked on either side by the formal living room with its own fireplace, and a formal dining room. But the heart of this home is the totally custom, gourmet kitchen. Featuring designer cabinetry, custom lighting, induction cooking, retractable vent, a double oven, double dishwasher, pantry closets, and a two-level granite island making this is every chefs dream kitchen. That open floor plan which has the kitchen overlooking the family room with its brick fireplace and wet bar, is an integral part of this home. The california room is another bonus, with high ceilings and entry to the greenhouse. The backyard oasis, which is evident from most windows, is simply spectacular. The second floor features the master bedroom suite which offers a sitting room, walk in closet and a luxurious master bath. There are 3 other well sized bedrooms on this floor along with a full, remodeled hall bath. The finished basement could be someone's private paradise! There is a bedroom, full bath, another family room, and 2 additional areas ideal for a gym, office, playroom etc. The party is not over yet. There is a detached 3 car garage with 2nd floor loft or apartment above with another full bathroom. That makes for a total of a 6 car garages! Vacation at home with the beautiful, sylvan, salt water, heated pool, with spa, surrounded by ep henry pavers. The built-in outdoor kitchen with grill, refrigerator and a cooking area will have your friends and family clamoring for an invitation. To sum it up, an in-law suite, incredible space for a car enthusiast, and even an art studio, are all possible here. Additionally, there are renewal by anderson windows, 5 hvac systems, a stand-by generator & sprinkler system. If this isn't your home, then they don't make one!! 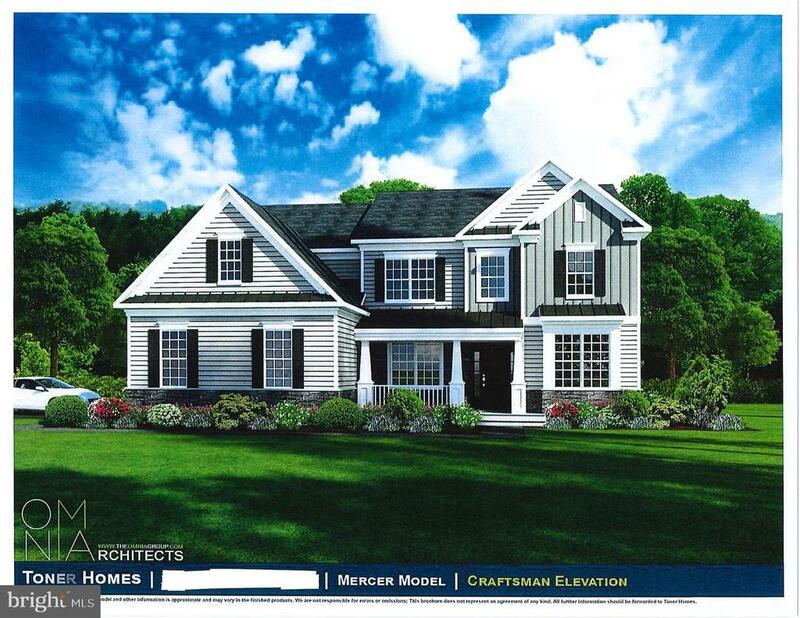 New construction home with first-floor master bedroom available this fall. Situated on scenic creamery road, this home boasts 4 bedrooms, 3. 5 baths, and a 3-car garage. The gourmet kitchen features an oversized center island and open views into the breakfast area and two-story family room. Master bedroom suite boasts a sitting area, huge walk-in closet, and sumptuous bathroom. Three secondary bedrooms and two baths are situated on the second floor. Photos and videos are used as representations and should not be relied upon to confirm applicable features. Taxes to be determined. Please see sales manager for details. As of today, 4/22/2019 the average home price for homes for sale in Newtown is $870,504.